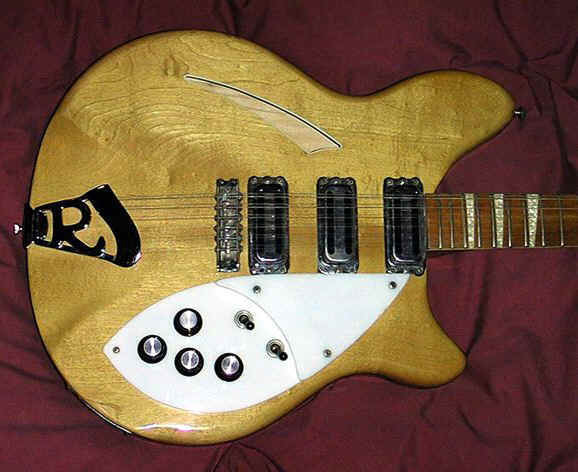 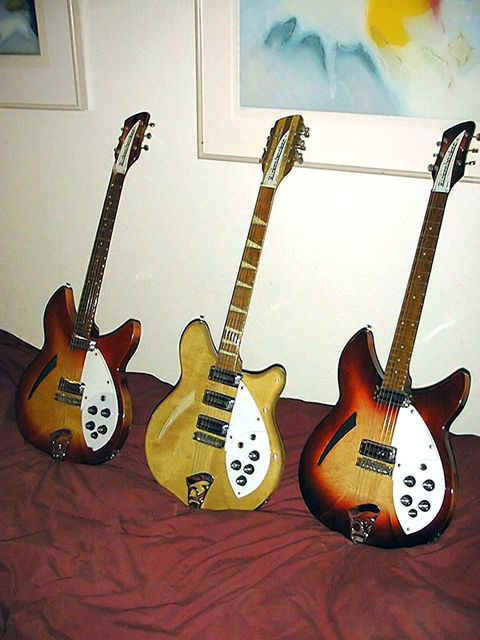 This is a pristine condition 1967 370-12 Byrds, like the 8MH guitar. 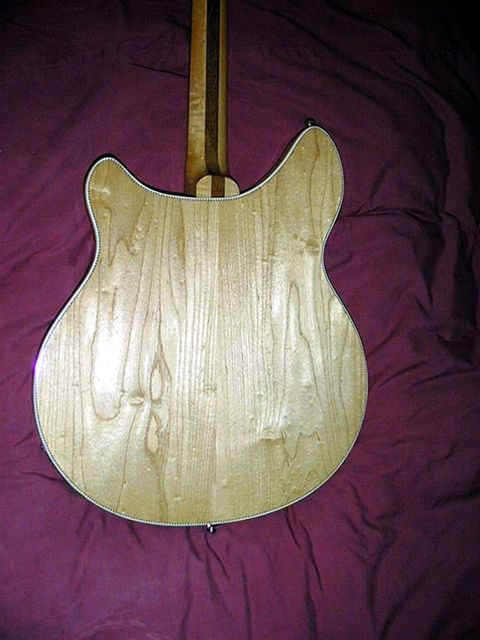 It has caused quite some controversy on the net these past few weeks! 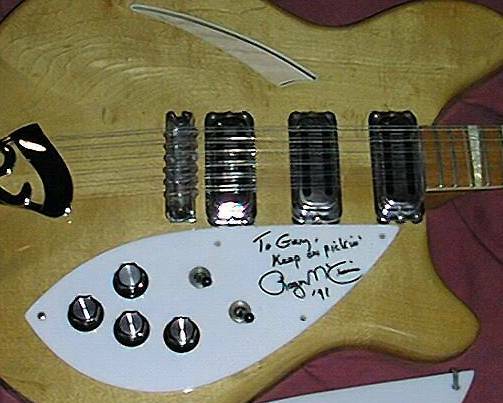 It is also signed by Roger McGuinn. 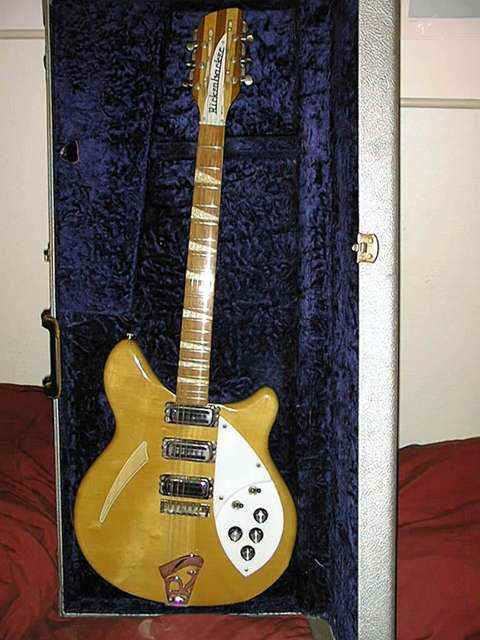 Gary Martin of the Blackouts has owned this guitar since 1980, and it is 100% stock. 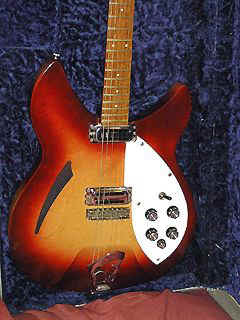 This guitar has appeared in the newsgroup several times when it was spotted doing some of its rare live appearances on stage. 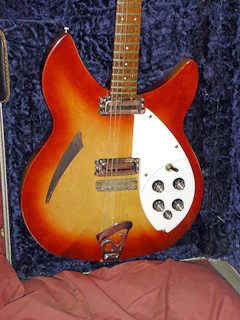 condition 1966 330 which actually belongs to my 12 year old daughter Cassie."